Teluk Intan (Diamond Bay) is a quiet rudimentary town located in the Perak state of Malaysia. What it lacks in entertainment, it makes up for in food - making it the perfect destination for a day trip out of the city for food enthusiasts. Particularly famous for its Chinese cuisines, this town makes a great alternative to Melaka and Penang. 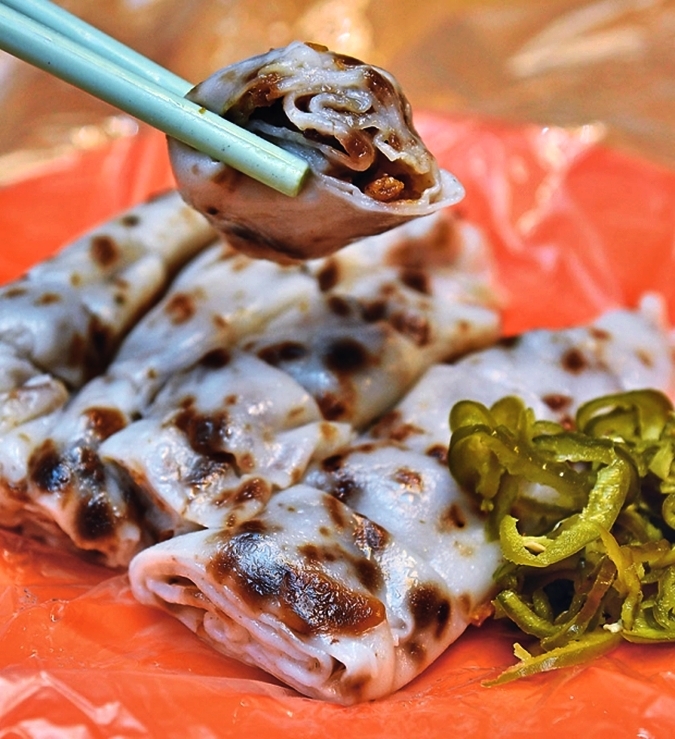 Believed to be a perennial favorite among both locals and visitors alike, the one-of-a-kind Teluk Intan chee cheong fan can only be found in this town. Though substandard versions can be found scattered around Kuala Lumpur, nothing can really come close to this dish of dried shrimps, jicama and fragrant fried shallots delightfully wrapped in rice noodle rolls topped with pickled green chili. In the olden days, street hawkers sold rice and curry filled in two large separate buckets which were balanced on each end of a pole carried on the shoulders - hence the name Nasi Kandar ("balanced rice"). It is a simple dish of steamed rice served with a variety of curries and side dishes that can be eaten anytime of the day! A town of Chinese majority, Teluk Intan boasts a great selection of Chinese cuisine, particularly for its seafood dishes. Enjoy anything from shark meat to mantis prawn best cooked in kung pao (宫堡), kam heong (金香), or sweet-and-sour style. Translated as "boiled noodles", this noodle dish is comprised of yellow egg noodles and generous serving of sweet-spicy gravy. Typically topped with green chili, green onion, fried shallots, hard boiled egg, bean sprouts, and a fresh squeeze of lime. 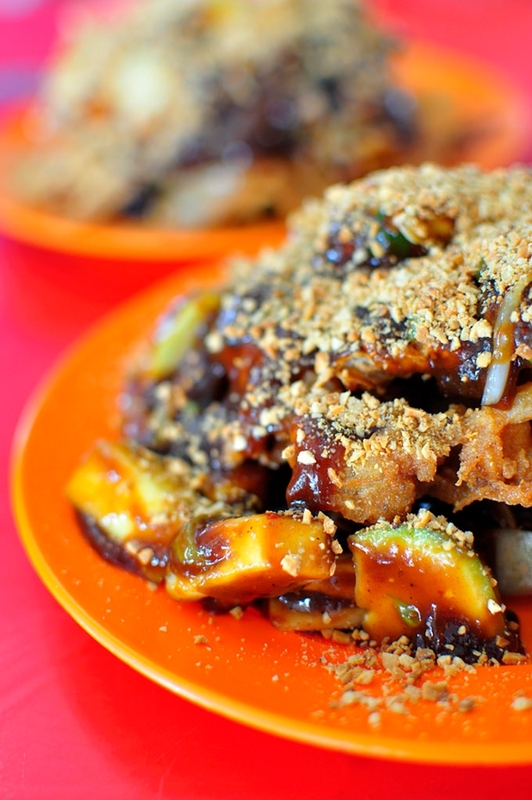 Having served delicious rojak (Malaysian/Indonesian-style salad) for more than five decades, Rojak Ah Chai is a must-try for those visiting Teluk Intan. It is a combination of cuttlefish, prawn fritters, kangkung (water convolvulus), cucumber, pineapple, turnip and a sweet homemade sauce. The soup of the laksa here is light, diluted, simple, yet surprisingly addictive thanks to the tasty addition of sour tamarind. A good choice for those eating between meals. Known as silver needle noodle or rat noodle, lou shu fun is a type of Chinese rice noodle that can be eaten fried, dry, or in soup accompanied by slices of fish cakes or minced meat. A dish of meat (typically pork) cooked in a fragrant herbal broth prepared mainly using dong quai, cinnamon, and star anise. 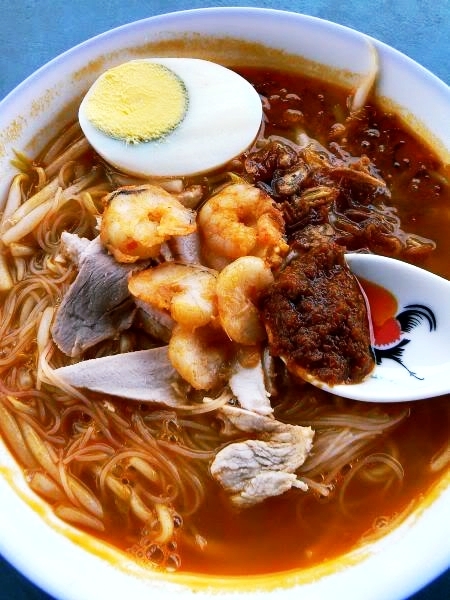 A popular Malaysian hawker dish, Har Mee is prepared using noodles, fresh whole prawns, sliced meat, and sambal in a light yet full-flavored broth. 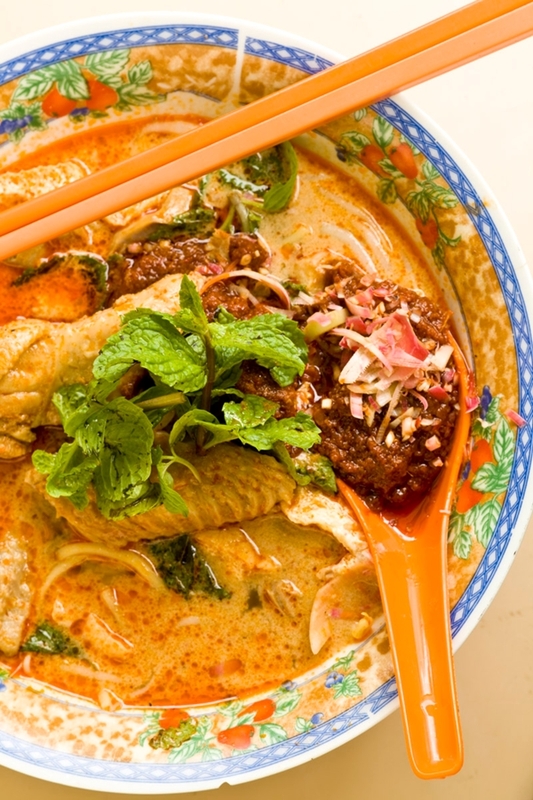 Also known as curry laksa, this steamy bowl of noodle in spicy curry is delicious even when eaten on hot, sunny days. Ximilu (sago in coconut milk) and ice-blended desserts are a hit in this town, mainly because the weather is always scorching hot. Best eaten after lunch. Teluk Intan is famous for its Heong Peng and Tau Sar Pneah. This does not come as a surprise as the entire town is dominated by family-run enterprises which confectioneries are sold all across the country. Sin Joo Heong (Tiger), Ta Sin Guan Tin (Butterfly), Sin Guan Hoe and SGT. 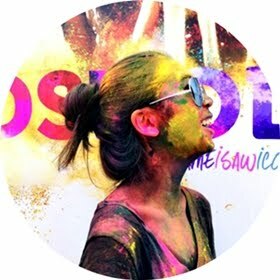 Forget Penang and Melaka. 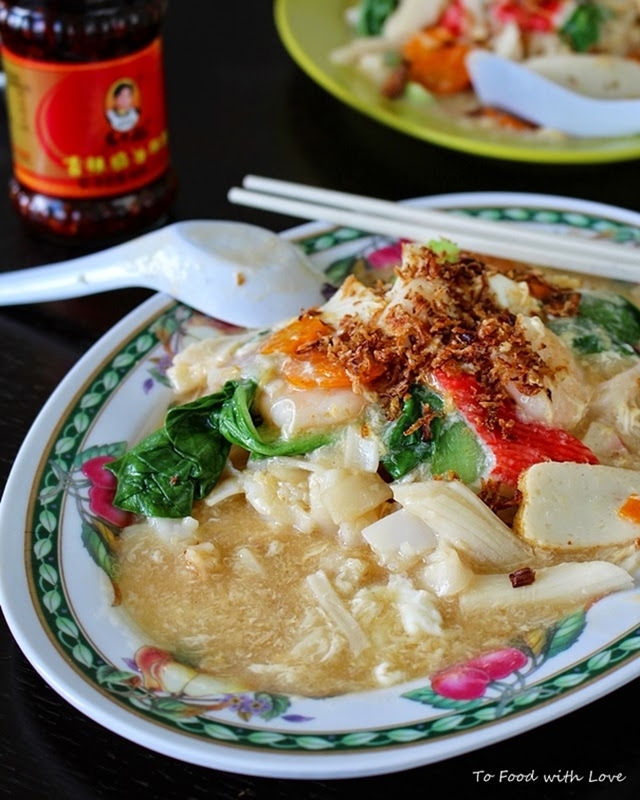 Teluk Intan is where you should be heading for a truly unforgettable food trip in Malaysia.